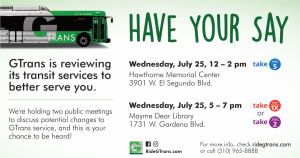 Community Meetings on July 25th! 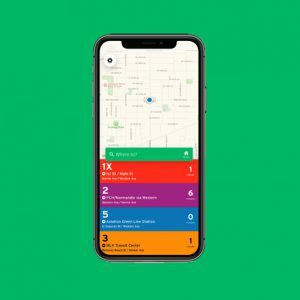 GTrans is reviewing its transit service to better serve you. 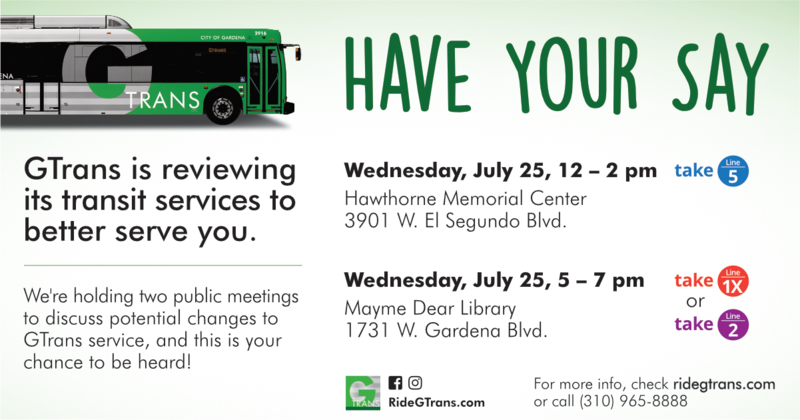 We’re holding two public meetings to discuss potential changes to GTrans service, and this is your chance to be heard! Take Line 1X or Line 2! We will also be hosting an Open House for riders of Gardena Special Transit, where we will discuss proposed changes to Special Transit. 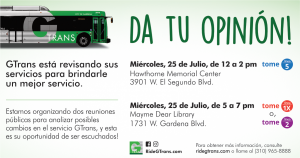 How to Get There: Take Line 2 or call Gardena Special Transit at (310)965-8848 to book a free ride. Rides must be reserved at least 24 hours in advance.